No moment produces as much anxiety for wine lovers as pulling a cork on a precious old bottle. 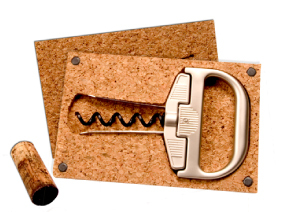 A cracked, deteriorated cork can crumble into the wine, marring what should be a joyous moment. Enter the Durand, an ingenious device constructed specifically for older bottles: It can remove even the most fragile corks without incident. And it will pay for itself if one cherished bottle is preserved. When opening some of the world’s oldest and rarest wines, there is only one option, The Durand. It is the single greatest wine opener on the planet, and I don’t leave home without it.